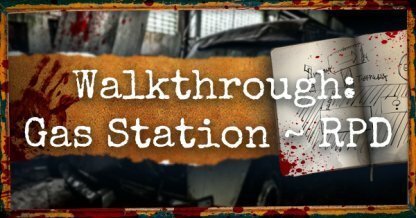 Check out this guide for a full walkthrough of the Claire Story Walkthrough (Opening ~ RPD) from Resident Evil 2, including gameplay tips, guides, & more! Kill the zombie, and get the key. Additional tips below. Use the key to open the door, and make your way out of the store. Additional tips below. 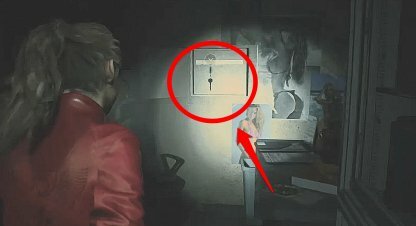 After killing the Zombie, a keyholder will be revealed at the path behind it. Collect the key from there. You will be able to use this key on the locked door to escape from the store. Zombies will be chasing you as you make your way out of the store. There is no need to waste your ammo on them. Focus on heading for the exit since you are able to outrun them. Turn around, and run away from the Zombies. Additional tips below. There will be some Zombies blocking your way while you head for the RPD. Maintain a safe distance so that they will not be able to grab you when they lunge after you. Keep running, and you should be able to reach the RPD undamaged. A man will be calling out to you from the Watchman's Room. Additional tips below. Enter the room and interact with the "Fire Safety Door" to trigger a cutscene. Additional tips below. Retrace your steps to make your way back to the main Hall. This will then trigger another cutscene. Additional tips below. 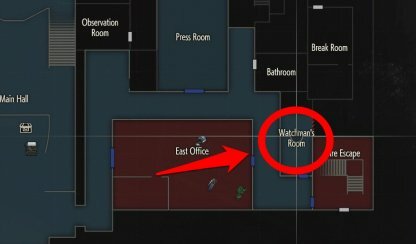 The Watchman's Room is found at the end of the path you follow when entering the East Wing for the first time. The room looks like a booth, and is next to a pile of dead bodies. 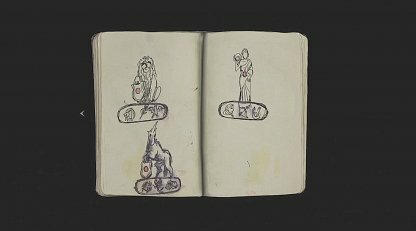 The Officer's Notebook will be helpful in solving the puzzles to progress the game. You can view it anytime from your inventory to view clues and hints for the puzzles. 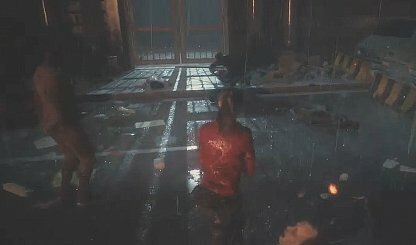 When making your way back to the Main Hall, Zombies will be blocking your way. Shooting them once in the head will stagger them. This will give you a small window to get past them without getting grabbed. Head on straight towards the end of the hall to the Operations Room. Additional tips below. Exit the Operations Room. Additional tips below. The Lion Statue's combination is Lion-Leaf-Bird. 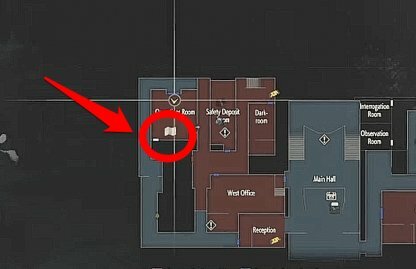 You will get the Police Station Map from the board on the Operations Room. 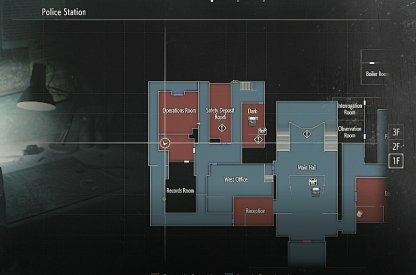 The Broken Window will let you get out of the Operations Room. 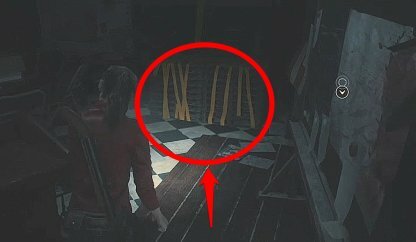 It is above a stack of items with yellow tape on the left side of the room. Interact with it to exit the Operations Room. 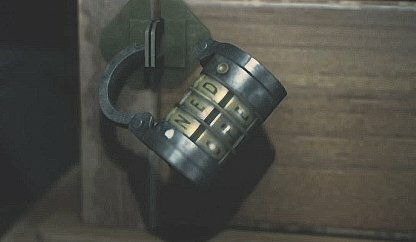 Leon's Desk will be locked with two padlocks. The left side's combination is "N-E-D", while the right side is "M-R-G". This will give you the Speed Loader Gun Part. The Hip Pouch will increase your inventory space. Make sure to get it in the back end of the West Storage Room, right beside the library. The Spade Key is one of the essential items needed to get the Grenade Launcher as it opens the Art Room. 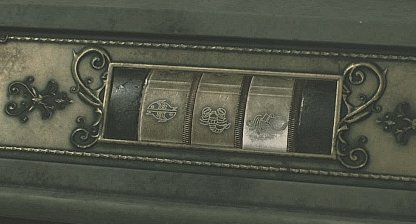 You can find the Weapons Locker Key Card inside the Art Room. The Grenade Launcher is one of the strongest weapons per shot in the game! You can use either Flame Rounds or Acid Rounds to defeat mobs of zombies. 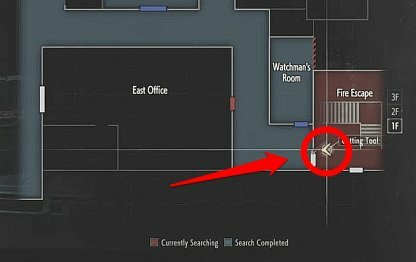 The Red Book Key Item can be found by the door of the library which leads to the Main Hall. The door has a blue spade design on it. Explore the Statue Room and solve the Emperor Statue puzzle. Additional tips below. 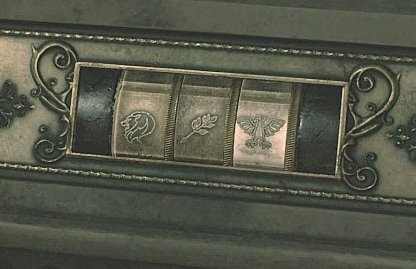 Open the safe to be able to get the JMB Hp3 Handgun. This handgun has a big bullet capacity, able to hold 13 bullets per magazine. The Emperor's Statue's Left Arm is found beside the Emperor's Statue. Combine this with the Red Book item you found in the library, and place it on the Statue to get the "Scepter" key item. After going through the exit door, and a flight of stairs, you will find the "Cutting Tool" which helps you unlock chained doors. It will be on a trash bin at the bottom of the stairs. Use this to unlock the door leading to the East Wing. The Unicorn Statue's combination is Pisces - Scorpio - Aquarius. Enter this combination to unlock the Unicorn medallion. Solve the Statue Puzzle in the West Storage Room. Additional tips below. Exit the West Storage Room through the Library. Additional tips below. After solving the puzzle, a Licker and Zombie will attack you. Deal with them since your exit is blocked by a fallen locker, and removing it will take some time.